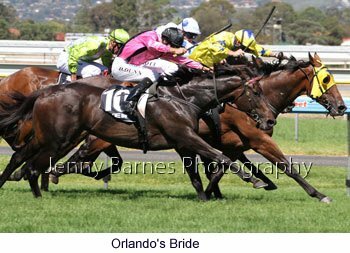 One of the biggest racedays on the Adelaide calendar is Adelaide Cup day and despite the forecast for a slightly humid 38 degrees a huge crowd turned out for the big raceday. 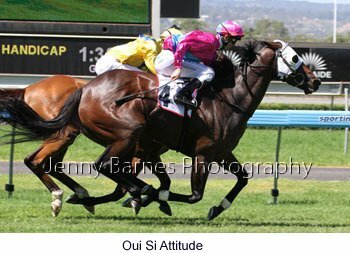 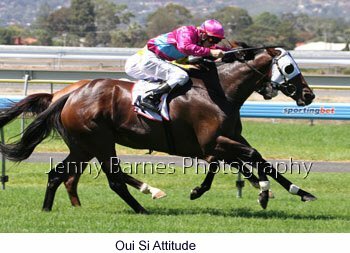 In the first race it was the Morphettville trained Oui Si Attitude from the Jon O'Connor stable making it two in a row defeating Victorians The Wingman and The Ruffian. 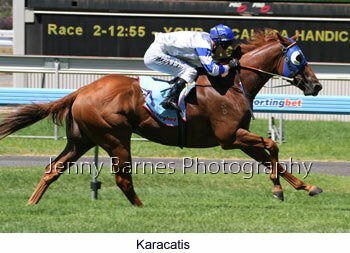 In the second race Periduki led well into the straight where Karacatis swept up to hit the lead and come away to win easily from El Prado Gold with Absalon third as SA horse filled the trifecta. 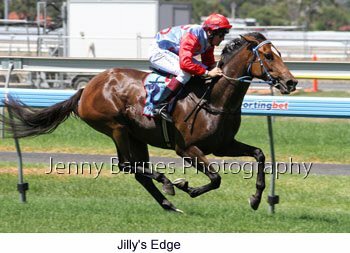 The Richard Jolly trained galloper took his record to 10 starts for 4 wins and 5 seconds (his only unplaced effort a 4th at Flemington). 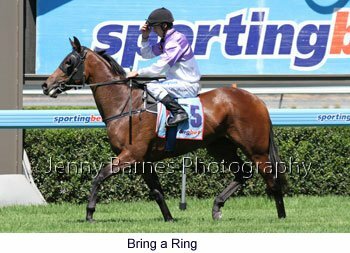 In the Cinderella Stakes there were several Victorian runners but Bring a Ring from the Tony McEvoy stable gave nothing else a chance storming away to win easily from Victorian Sense of Hite with Australia Day third. 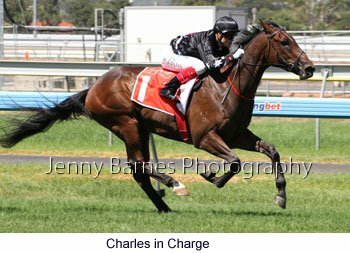 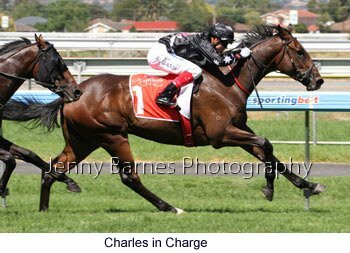 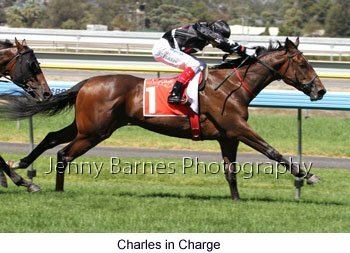 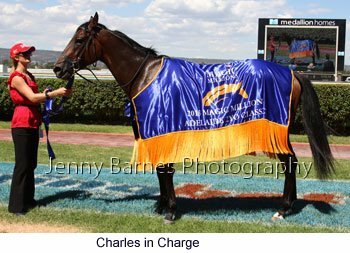 It was then onto the Adelaide Magic Millions Classic where Charles in Charge from the Flemington stable of Anthony Freedman was too good winning as he liked from The Voice and Tikitour and is now unbeaten in two starts. 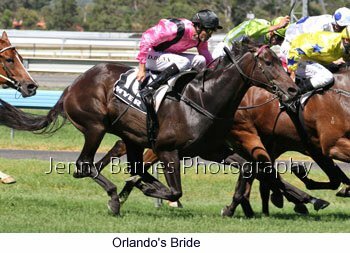 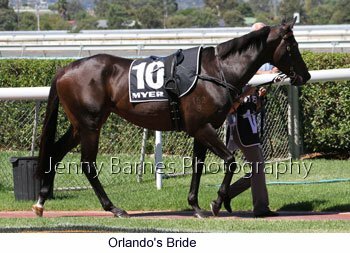 The Myer Fashion Trophy was the next race on the card where Orlando's Bride from the Victorian stable of Russell Cameron was successful from Cape Clear who was returning from injury with Little Bro third. 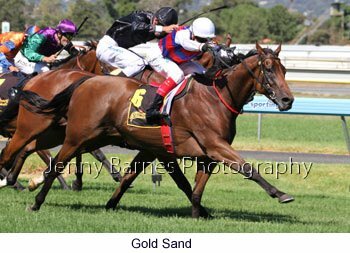 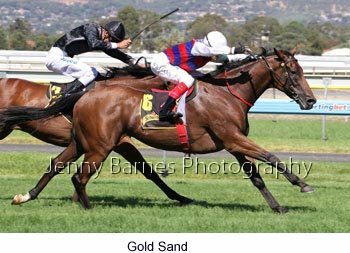 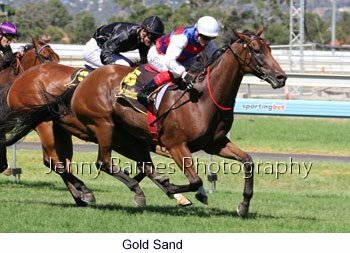 Gold Sand from the L&S Hope stable continued the Victorian success winning the CS Hayes Memorial Cup from Final Command and Mourinho taking his record to 25 starts for 9 wins and 2 placings. 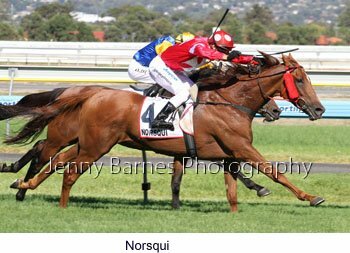 The Adelaide Cup was the next race on the program where most discussion to place on the first 7 horses in the field with the exception of Norsqui. 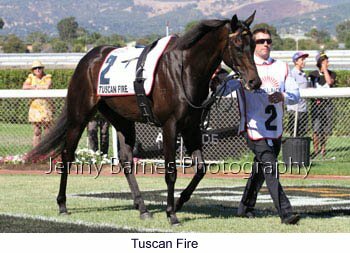 Titch had lost his rider in the Mornington Cup where Tuscan Fire had qualified for the Caulfield Cup in October (yet Titch led the field home) but had previously won the Auckland Cup in New Zealand and is proven over the steeplechase courses in the winter and most recently had run third in the Lord Reims Stakes, Tuscan Fire had won the Mornington Cup and had been just run down in the Roy Higgins Quality while Talent Show had won the Perth Cup and was a strong second in the Lord Reims Stakes. 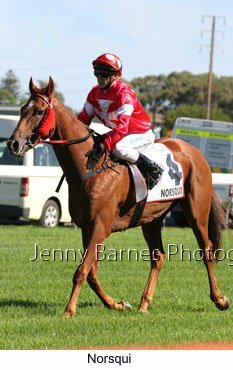 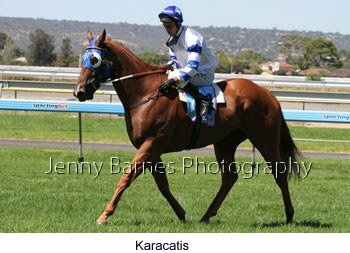 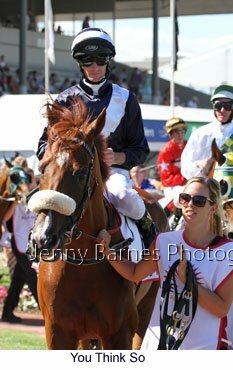 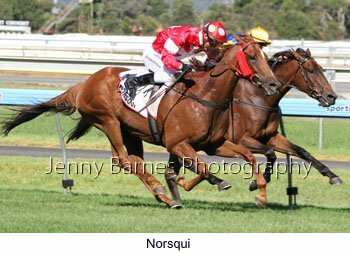 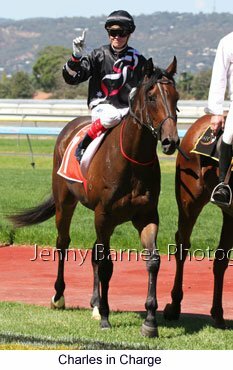 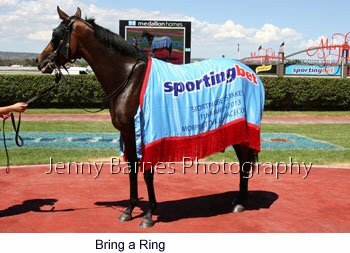 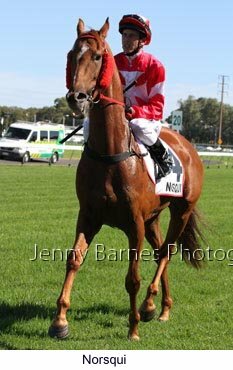 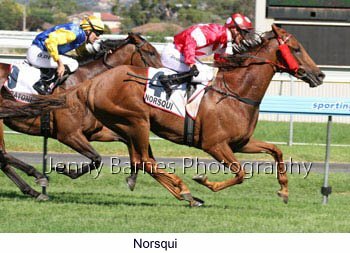 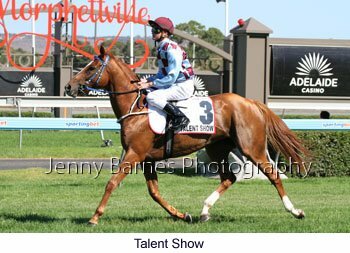 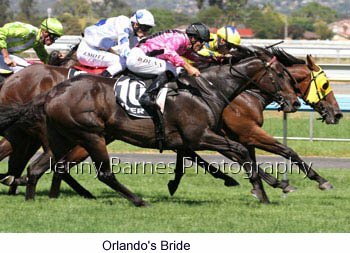 Norsqui had actually run third in the Adelaide Cup in 2012 a fact which was missed by many and had come through his preparation runs in Tasmania. 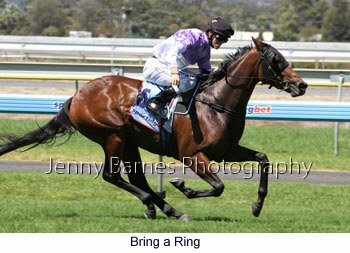 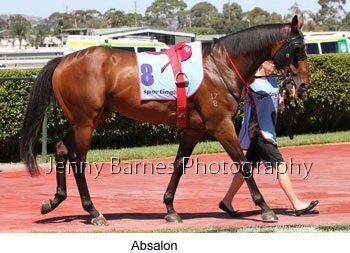 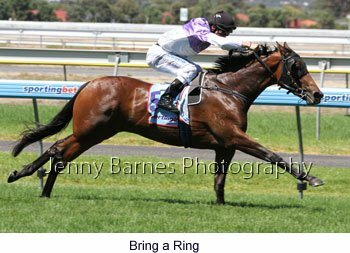 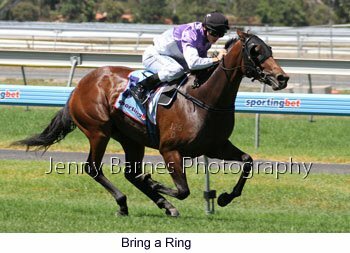 You Think So had good form through some of the lesser staying races in Victoria while Macedonian had been third in the Adelaide Cup in the past and was placed in the Mornington Cup. 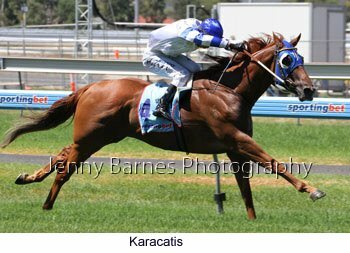 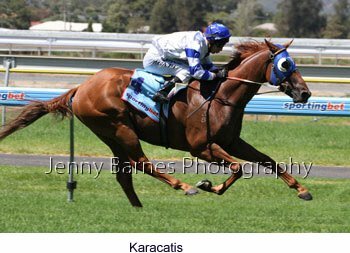 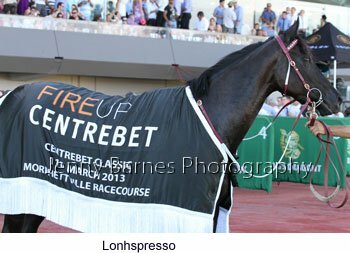 Kutchinsky had won the Roy Higgins Quality and Dame Claire had been second inthe same race while My Ex Mate had won the Lord Reims Stakes but after suffering heat stress previously some wondered how he would go in the conditions. 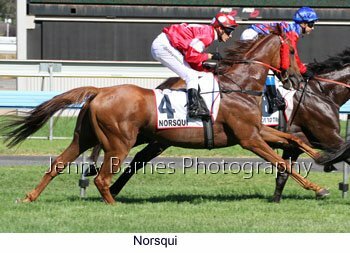 In the end it was Norsqui who put in the strongest finishing burst in the run for home grabbing the locally trained Waratone in the last few bounds with Dame Claire running an honest race for third and Kutchinsky 4th while Macedonian was 5th . 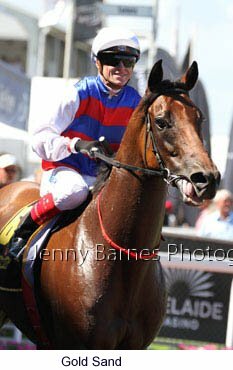 The winner is from the Tasmanian stable of G Ballantyne and took his record to 36 starts for 8 wins and 9 placings. 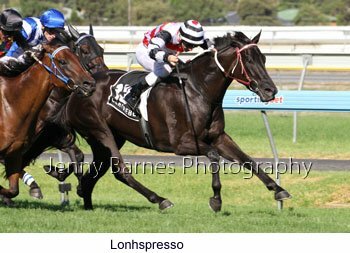 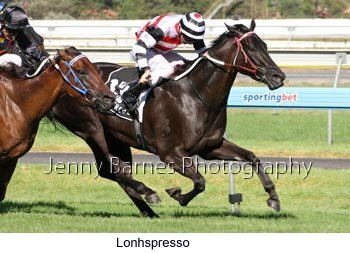 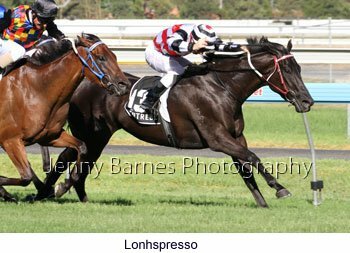 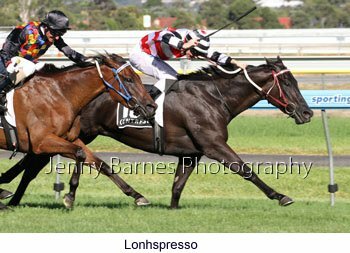 In the next race the Euclase Classic Lonhspresso showed future promise in defeating the fast finishing Essay Raider with Shamal Wind third. 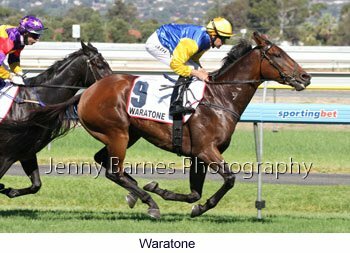 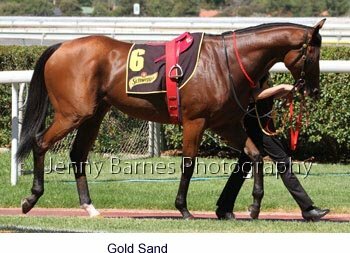 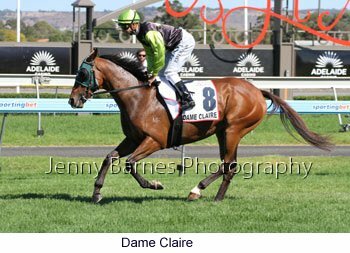 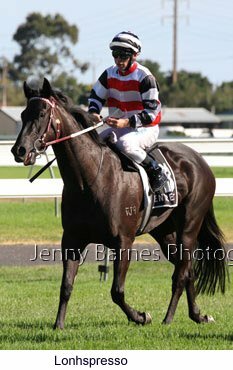 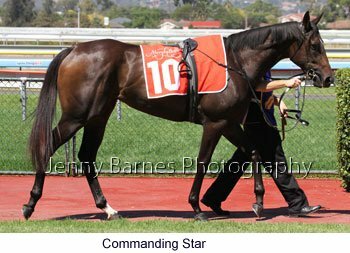 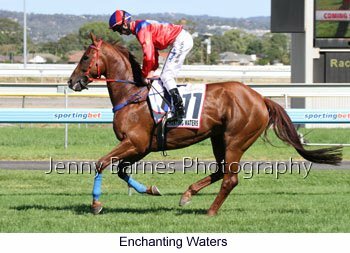 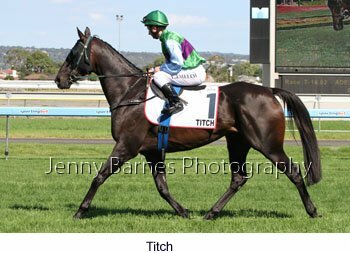 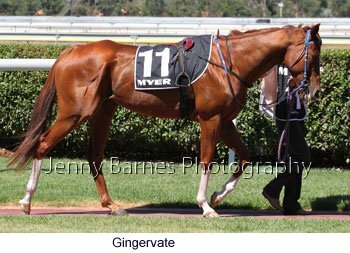 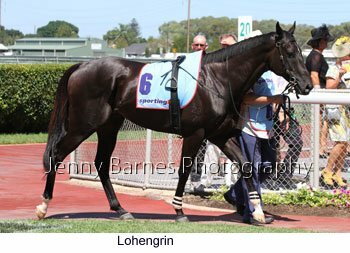 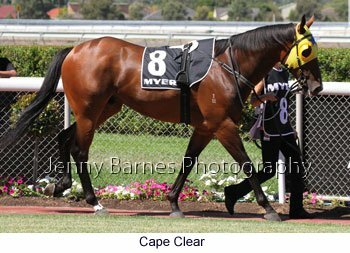 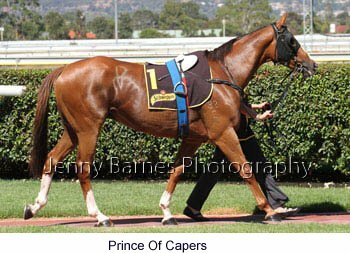 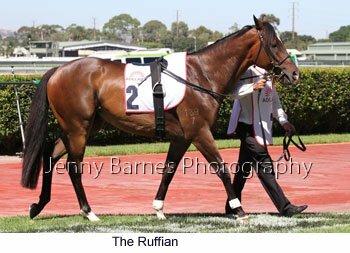 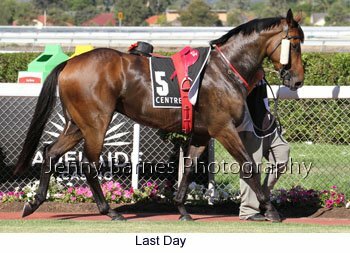 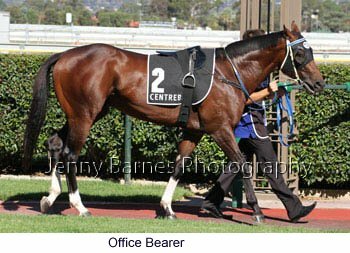 From the Darren Weir stable of Victoria she took her record to 5 starts for 3 wins and 2 seconds. 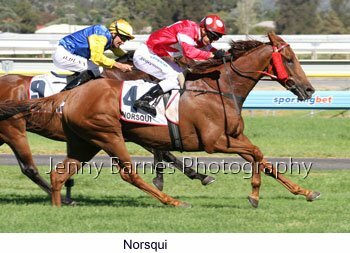 In the last race Nullabor Nymph made it a double for the Jolly stable with Holder Sunset second and Out of Coober third.